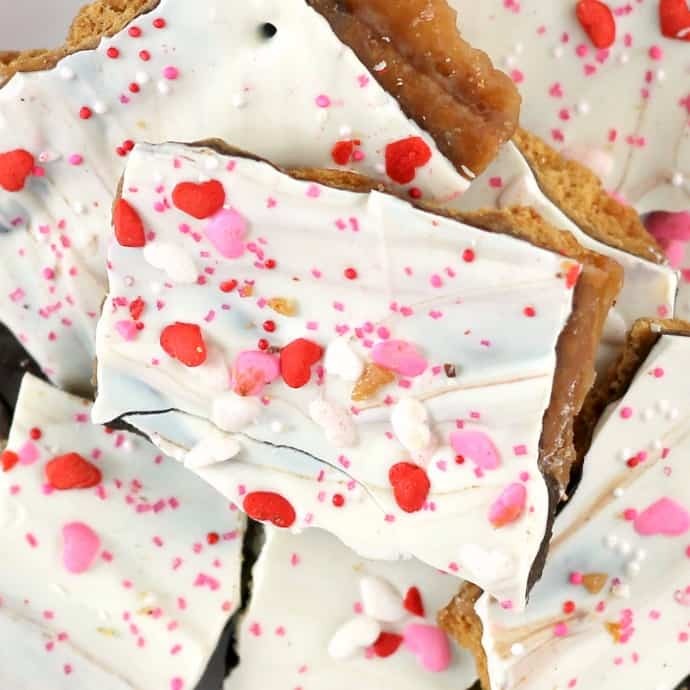 Crunchy layers of graham crackers, buttery toffee and chocolate come together to make a delicious treat for any holiday. Graham Cracker Crunch is a perfect sweet treat! Don’t try to deny it, Mom. 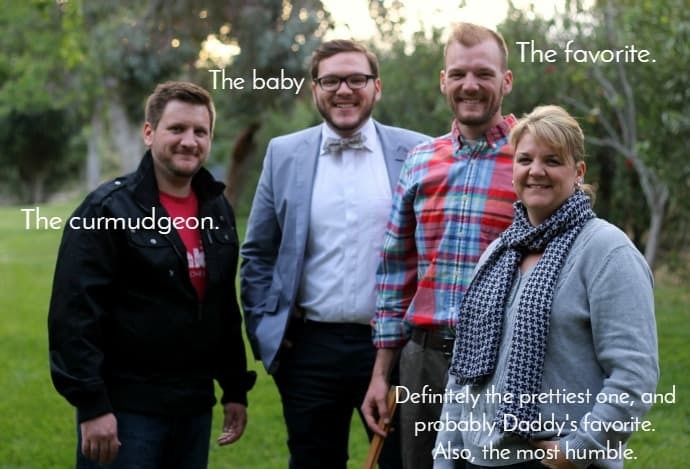 You know it’s true. OK, back to the recipe. 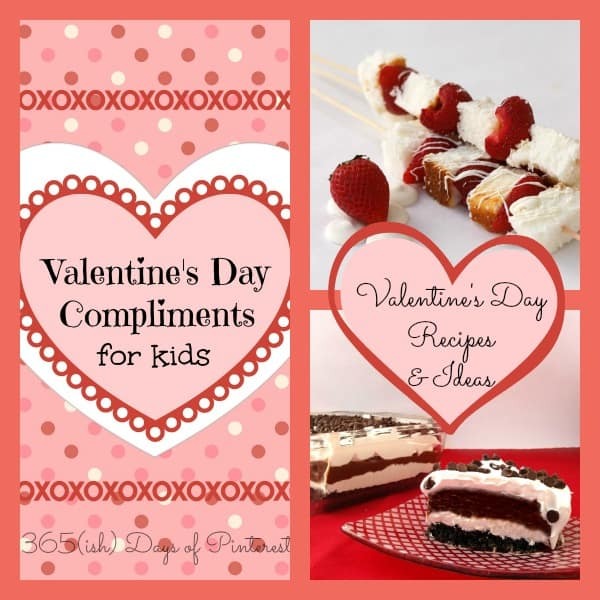 🙂 You have a few weeks until the notices start coming home about the class Valentine’s Day party, so pin this now and start collecting the ingredients so you’re ready! Honestly, you probably have everything in your pantry right now. The only exception may be the melting candy, but that’s readily available at most grocery stores. You can even package this in pretty cellophane or paper boxes and hand it out for Valentine’s Day treats! Break graham crackers into fourths and line the cookie sheet. Don't leave too much space between the crackers, but they don't need to be touching. In a saucepan, melt the butter and stir in the brown sugar and salt, bringing it to a boil. Remove from heat and let sit for 2-3 minutes. Pour the butter mixture over the graham crackers. Do your best to cover every cracker as much as possible. If there's too much exposed, it will burn the cracker. Immediately after removing from the oven, sprinkle chocolate chips over the top and let them sit for a couple minutes to soften. Using a spatula, spread out the chocolate, covering the crackers evenly. Melt the white candy in a bowl in the microwave in 30 second intervals, stirring well until smooth and melted. Pour the white candy over the chocolate layer and spread out as evenly as possible. Sprinkle immediately with any kind of candy sprinkles you like. Place in the freezer for 10-15 minutes to harden and cool. 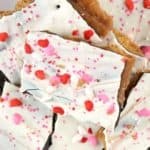 If you use a large baking sheet, you may not have enough toffee mixture to cover all the crackers. I used one or two crackers fewer than a sleeve’s worth in this batch. My first batch I used a whole sleeve in a larger pan, but the edges got burnt because they weren’t covered with anything. So increase your butter and sugar if you want to make a larger pan. I got my white candy melts in the bulk section at Winco. You can also buy bags of them at places like Joanne’s or Michael’s in the cake decorating aisles. If you can’t find the melting discs, just use vanilla chips and add a little coconut oil to help them melt smoothly. In case you’re a visual learner, here’s a quick video of the whole process! 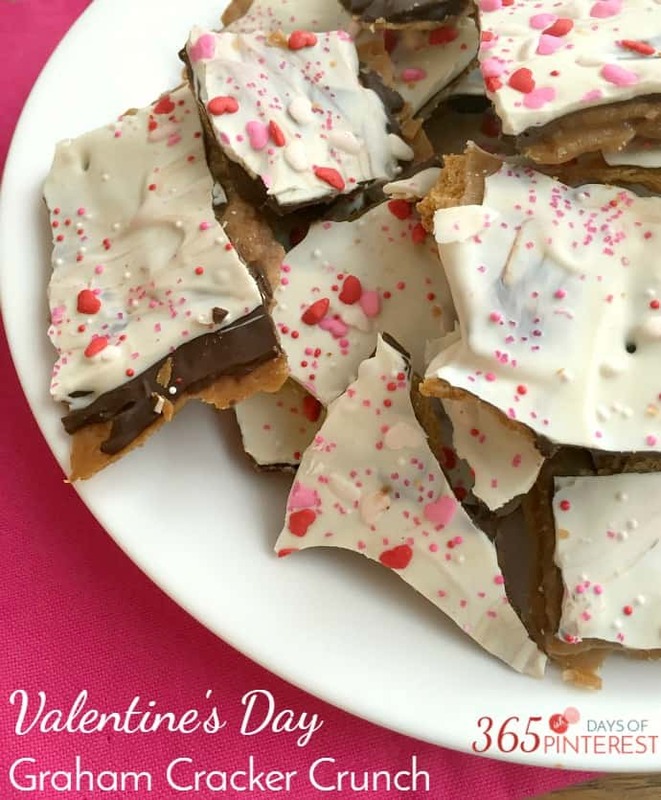 If you like this Graham Cracker Crunch, here are some more ideas for Valentine’s Day!